Owned by the Cedar Point amusement park and located just beyond the causeway this Radisson property went in for a massive makeover and emerged in November of 2004 as Castaway Bay. The park is more intimate than the two larger parks a few miles South on 250, but tropical lighting and festive decor make it one of the best themed parks in the country. 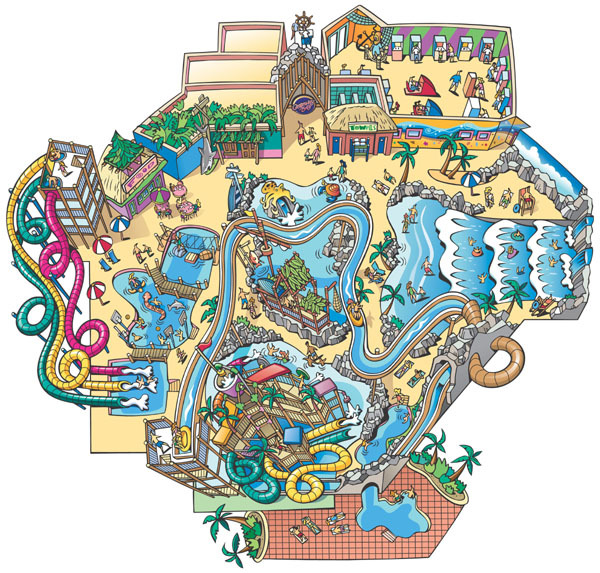 There are a few modest body slides, a wave pool, and a 520-foot Master Blaster water coaster that is the top draw. In our visit in the summer of 2006, we were able to purchase passes as non-hotel guests on a weekday ($24 for the full day pass, $14 for the evening pass, and we were offered $8.95 evening passes as guests at another Cedar Point resort).